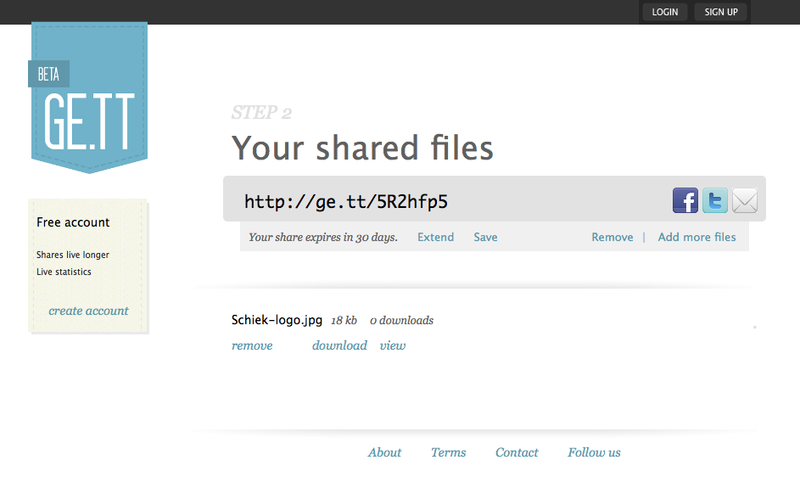 Ge.tt is a new “unlimited” file sharing service. It’s super simple, no size limits, no sign-up required. If it sounds too good to be true, then we’re on the same page. This is not the first “unlimited” file sharing service to come around, but hopefully this one will last longer than it’s predecessors. The ability to send large files without hassle or cost would be a huge convenience. File Savr will host files up to 10GB. That should solve pretty much all your file transferring needs one problem is that it doesn’t allow free accounts. Therefore you can’t manage your files, and they’re not clear as to how long your file will be available for download. Also, it’s pretty slow and doesn’t save the files for long. 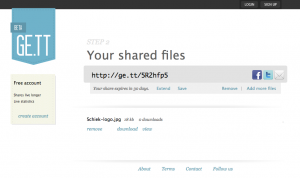 Mediafire allows for both uploading files with and without an account. So when you need to be able to delete a file, or just want to keep track of them you have that option as well as the ability to just quickly upload something. However, mediafire will only let you upload a file up to 200mb in size so you’ll have to go with the other one if your file is too large.